When you’re first starting your snow and ice management company, there are so many things you need to know, such as employer-employee relationships, insurance coverage, subcontractor versus new hire and so on. Hopefully, you didn’t wake up today and decide to go into business for yourself. Indeed, the idea to start a snow and ice removal company needs to begin about six months before the next snow season. At this point in your company, you should be setting pre-season visits, buying equipment and training your crews. In the market for a new snowplow? Here are three tips to help you find the best one. By this time, you should’ve decided if you’re going to stay a subcontractor or have a fleet of trucks with crews to drive them: Right before the season, you need to have an idea where you’re going with your snow business. Are you going to stay a subcontractor or will you be starting a snow management company? Will you be handling residential and/or commercial customers? Again, this is a decision that should’ve been made by now. But if you’re planning ahead, it’s logical to start with residential as well as mom-and-pop shops to get a toehold in the commercial side of snow and ice removal. You need a marketing and advertising plan: You should dedicate a percentage of your company’s income to marketing and advertising. You need a website, business cards, and other marketing materials to create a packet for your sales prospects. Additionally, take out ads in your local newspaper, online forums, and even social media to draw more eyes to your snow and ice services. You need to make sure that you have both workers’ compensation and liability insurances: Depending on where you do business, insurance rates are going up. But if you want to protect your business and yourself, you need to make sure you have the right insurances in place to safeguard you from lawsuits. Learn more about what insurances you need in your snow and ice business. 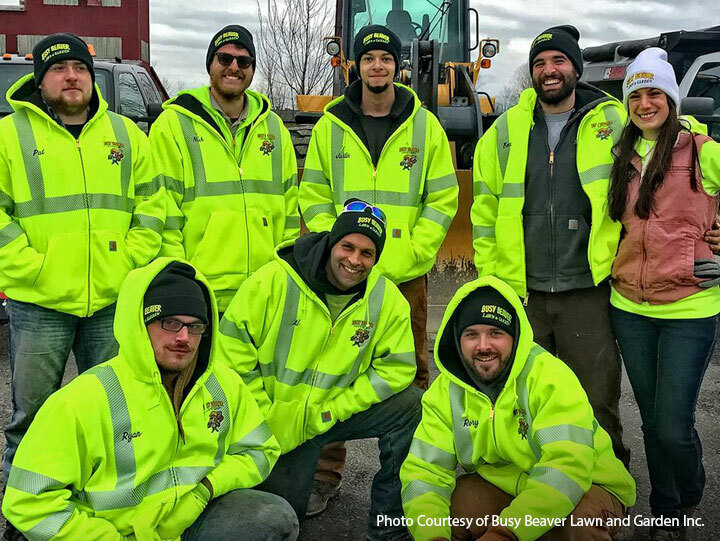 You need to train your crews how to use the equipment as well as to give them winter survival tactics: If you have a lawn and landscaping or a construction business during the warm season, you still need to train your winter crews. They need to know how to connect a plow to a skid loader, how to safely repair a broken hose and even how to get safely in and out of a big truck. You must go on pre-season visits—preferably with your crews: Again, you want to save your behind from unnecessary problems. So, take your crew members and your smartphone to take pictures if need be. You need a contact person for the properties you’re caring for, and your crews need to know the layout of the parking lot or driveway to make sure they can do their jobs. You need to make certain your trucks and other snow equipment are ready to hit the road: Do the necessary repairs, fix broken hoses, and change the oil as well as any other maintenance during the fall months before snow season begins. You should also make sure all trucks have repair and first aid kits. Check your accounts to see if you have enough cash reserves to survive the snow season: Do you have enough money to pay for your employees and make any repairs if it’s a low snow season? You need to plan ahead to make sure you’ll have enough cash flow to pay your employees, to buy parts and any other unforeseen problems that may come up during the season. Getting any last minute equipment: Fall is the time to get those last minute pieces of snow equipment. Verify that all new plows work and fit with your snow fleet. Connect with your dealer to make sure you can get any spare parts in a timely fashion. Review your management skills to ensure you’re communicating effectively to both your customers and your employees: Hone your management and communication skills. The dangers of snow removal coupled with little sleep and time away from family make snow management stressful both for you and your employees. If you’re generally gruff, you may want to hone up on those communication and management skills to keep good employees throughout the entire season. You don’t want any walk-outs in the middle of January. Make sure you’re educated on best management techniques to hold onto valuable employees and to have a successful snow season: Best management skills are based on the Golden Rule: Treat others how you’d like to be treated. So, try to motivate your crews with pizza, fresh coffee, and even cots to sleep on. Recognize employees who go the extra mile and do a great job on a customer’s parking lot. Encouragement is infectious. At Snow Wolf, we design snow pushers, plows and blowers to make moving snow a cinch. Our products are easy to install and use. Even your newest crew members can clean up a parking lot faster with our equipment. You can find your local Snow Wolf dealer on our website, or you can call us at 1-800-905-2265 or fill out our contact form.